As producer, writer, director, programme seller and sometime actor, to name but a few of his duties, George Critchley must be one of the busiest people in pantoland. His efforts pay off here as he delivers a seasonal delight which, despite obvious budgetary restraints, ticks most of the boxes for a traditional panto. Opening unusually with a Viking longboat scene, it soon settles into the conventional Jack and the Beanstalk tale, though the first half lacks pace at times and is a little too wordy to retain the full attention of younger theatregoers. 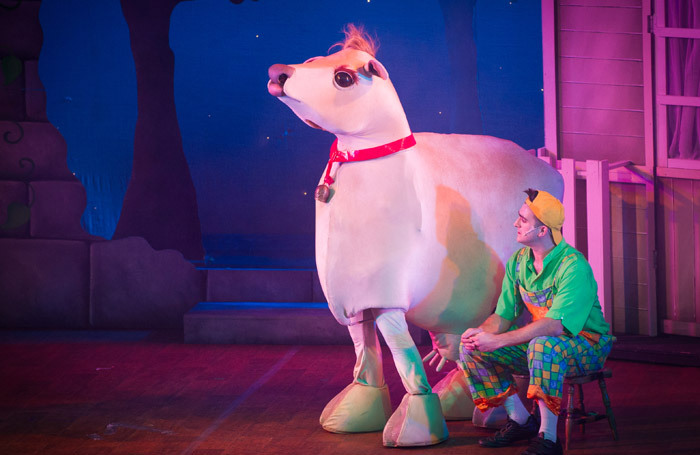 That all changes after the interval when the comedy elements are ramped up, especially from Darren John Langford’s joyous Fleshcreep, while Keith De’Winter and Karl Greenwood have fun as Dame Dolly Dimplebottom and Silly Billy. Meanwhile the Giant, far from being fearsome, turns out to be a benevolent sort of chap who doesn’t like eating people at all – a nice twist on the usual evil big guy. While this production can’t hope to reach the heights of some of the more costly and spectacular shows on offer in the region, it provides a largely joyous mix of music, comedy and audience participation as the age-old tale unfolds.